That’s why Harvey has decided to make her PhD research project the social and economic impact of the legalization of the cannabis industry. A student of the University of Guelph’s Rural Studies program, the Rossland resident began her preliminary research on the topic this summer. “I think our society is ready, from the consumption-end of things, but not from the industry-end of things,” she says. “My research is trying to uncover information about the industry, to help community leaders make evidence-informed decisions,” she says. “What does this mean to our region? Are we going to see a loss of employment? How can we respond, what programs can we put in place, what initiatives do we want to support?” she adds, just listing some of the questions the end of prohibition raises for the Kootenay economy. Harvey has spoken to local politicians, community leaders, cannabis advocates, growers — both legal and illegal — and people not involved in any way in the trade. Everyone has a stake in what legalization is going to do to the Kootenay economy. “When I heard legalization was going to occur, in 2016 , my first thought was wow, how is that going to affect our region?” Harvey recalls. “All of these people who are involved in this trade, how is this going to impact them? She’s also trying to gauge to what degree cannabis contributes to the local economy now, and to what degree people will be able to continue to participate in the legalized regime. But if government implements policies that create barriers, rather than bridges, to the legal market — by insisting all product grown locally is shipped to a central distribution centre, for instance — it may make legalization ineffective in stopping the illegal trade. So she’s hoping her research will help identify those barriers- both economic and social. While she’s focusing on the Kootenays as her case study, she hopes her research will be useful to other areas of B.C., and the country in general. But cannabis isn’t just an economic activity. Growing pot has skewed the social and ethical structure of the community, and she’s looking at that impact as well. “What excites me is looking at the polarizing nature of the topic,” she says. “I like to say there are multiple truths out there, and with the different groups out there I hear different information. From cannabis advocates to non-cannabis businesses, to parents, health practitioners to law enforcement, there are very different takes on legalization. And there’s a fair argument to be made that growing dope has stunted economic development in the area. “It’s fascinating there are such opinionated groups living in such close proximity, now facing this monumental policy change together,” she says. “These moments of seeing how strongly opinionated people are, with a subject that is really compromise-able in a lot of ways, is very interesting to me. Harvey is now doing the back-end work of her research — getting her ethics guidelines settled, firming up her methodologies and the scope of her project. She expects her study will be ready for academic review in about two years. 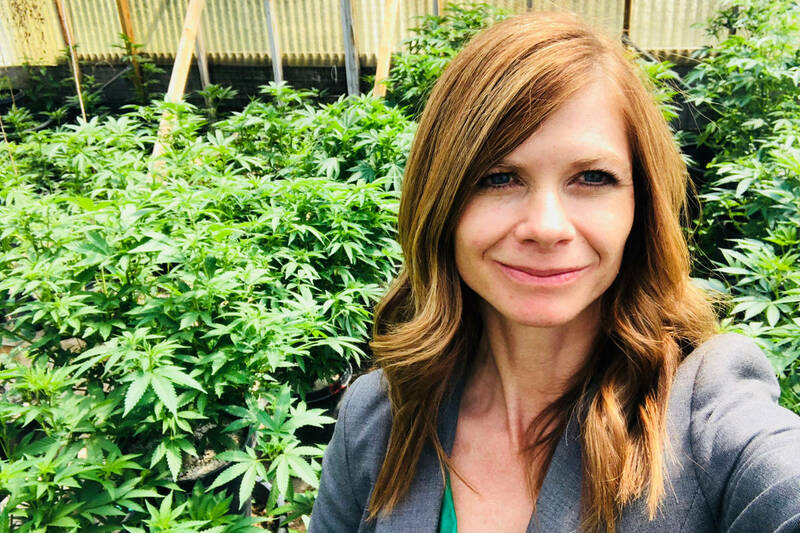 Ultimately though, her goal is to contribute in some way to a smoother landing for the Kootenay economy to a post-prohibition world. If you’d like to contribute your views, Harvey would like to hear from you. She can be reached via email at tharve01@uofguelph.ca. More information on the project can be found at https://ruralbclegalizationstudy.wordpress.com/.